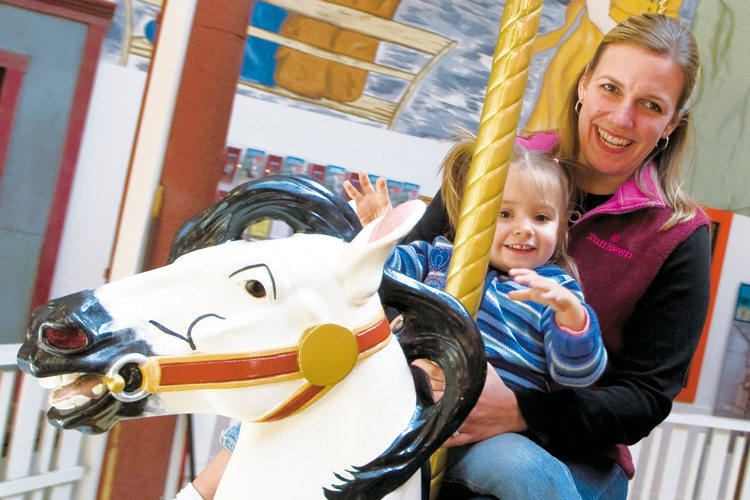 Shop, eat, play arcade games and ride an old-fashioned carousel under one roof. 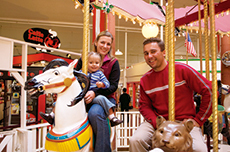 Shop till you drop and then ride the colorful carousel that is the centerpiece of the Seaside Carousel Mall. 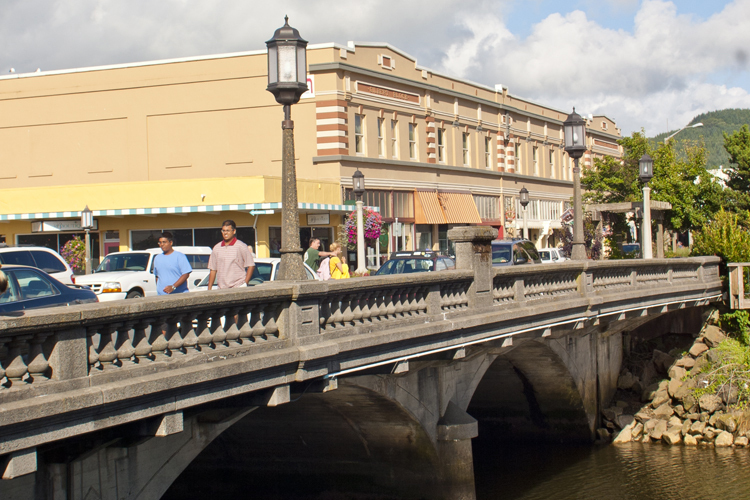 The fully enclosed mall is located in the center of downtown Seaside, Oregon. Visitors are welcomed by coliape music, bright lights and the smiling faces of folks, old and young, taking a spin on the classic and colorful carousel. 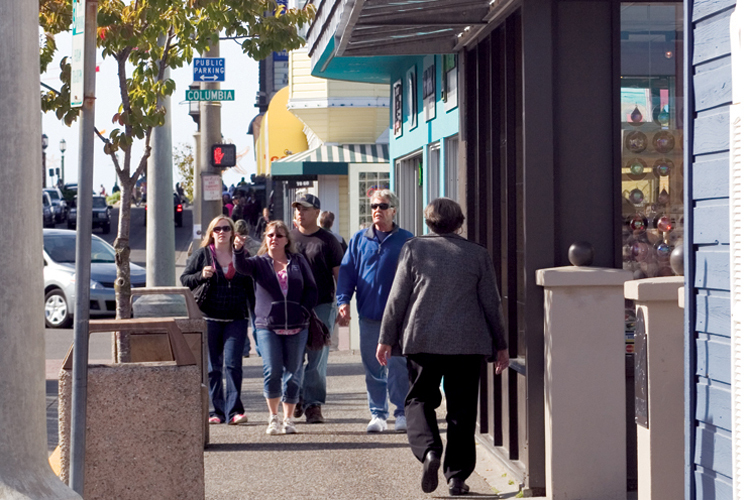 The mall features nearly 20 stores offering a variety of gifts, souvenirs, home decor, clothing and food that surround one of the city's most popular attractions. You're never too old to ride a carousel, so get on board and take a pony, a rabbit or a seahorse for a spin. 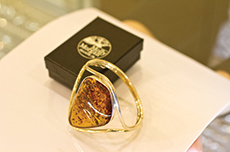 Enjoy a latte and a muffin at Caffe Latte, starting at 8am, before browsing through the shops that open at 10am. Be amazed at the variety of hats at Seaside Mostly Hats and play a little "I remember those," at the Flashback Malt Shoppe. 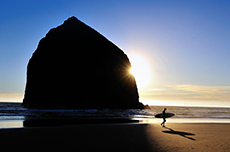 Take a step back in time and have a family photo taken at Flash from the Past Old Time Photos or have your portrait drawn by a local artist at Oregon Coast Portraits. 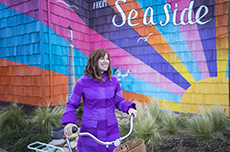 Buy a sourvenir from By the Sea, choose an outfit from Maryanna's $12.99 Store and grab a bite at Golden Horse Chinese Restaurant. Not ready to leave yet? Take the kids to the Family Fun Center and shop while they play arcade games. 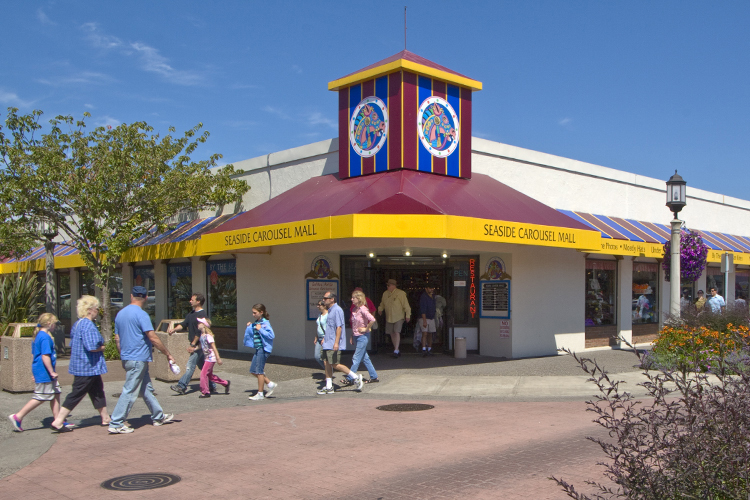 The Seaside Carousel Mall is located at 300 Broadway and is open seven days a week from 10am. 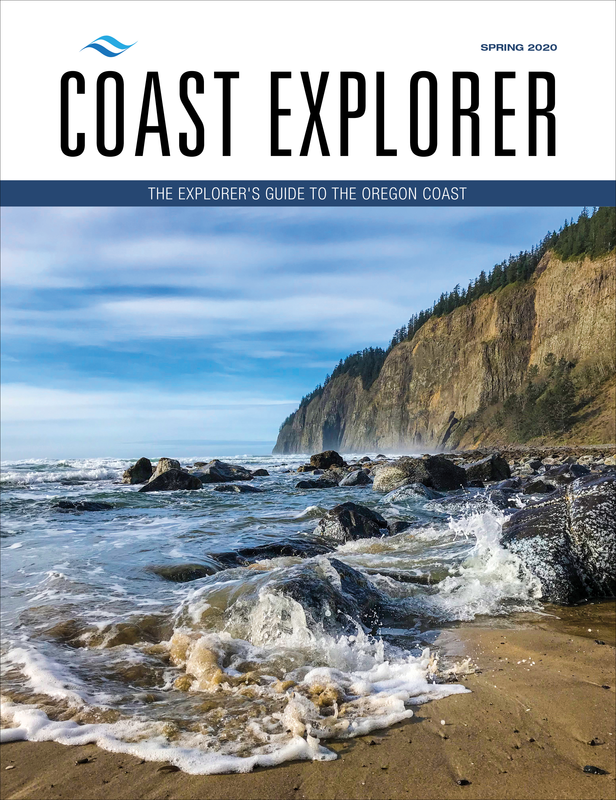 Call (503) 738-6728 for more information. A full-service shop with a large selection of boards, wetsuits and cutting-edge gear.